People ask you to write the foreword to their book (not just a recommendation) and the book is published by a real publisher. Your internal GPS tells you that you have arrived. When do you think you’ve arrived? 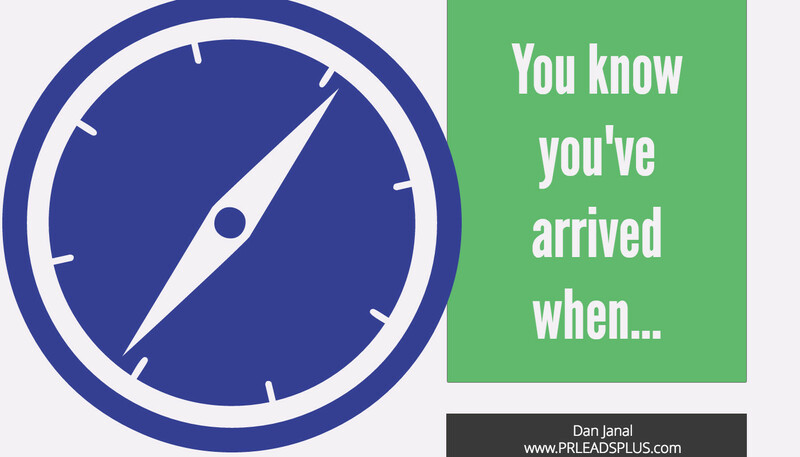 Dan Janal, author of “Reporters Are Looking for YOU!” helps small businesses get publicity so they can sell more products. My clients get terrific results from my coaching, consulting, done-for-you services and do-it-yourself tools. For info, go to https://www.prleads.com or call me at 952-380-1554.